The JOIDES Resolution is now south of the Equator! We made it! It was a treacherous and terrible stretch, but we successfully navigated our way across the Equator. It took us almost 3 days for this part of the journey to conclude, but by the grace of His Royal Highness, King Neptune himself granted us permission to cross the Equator. His Royal Highness found the crew in its full compliment to be worthy to sail the seven seas on the JOIDES Resolution. 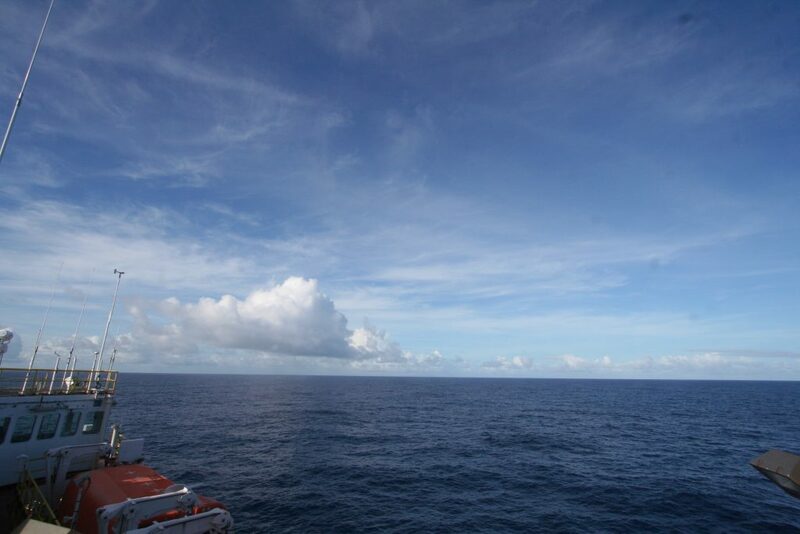 For this sailor (me), this is the first time ever that I have entered into the southern hemisphere, and it is truly a privilege to cross the equator on a ship, and specifically on the JOIDES Resolution. Especially, these days with air travel, its so easy to go from one place to another, but on a ship as a part of a crew is a very special experience.